Retired neurosurgeon Ben Carson has an amazing knack for saying things that contradict scientific evidence, despite the fact that he is a retired medical professional. When Donald Trump tried to assert that vaccines cause autism during the second Republican presidential debate, Carson shot him down, which was great. But then he perpetuated a myth that is also harmful to public health: the idea that we give children too many vaccines too close together. There is zero scientific evidence to support this, and it's strange that a doctor would perpetuate it. Now, Carson is affirming his belief that the Egyptian pyramids were used to store grain, and not as tombs for pharaohs, which archaeologists have mountains of evidence was the case. Carson first stated his strange theory during a 1998 commencement speech at Andrews University. On Wednesday, reporters asked him if he still held this belief during a book tour stop in Naples, Florida, and he said he did: "Well, the pyramids were made in a way that they had hermetically sealed compartments. You would need that if you were trying to preserve grain for a long period of time." Now all the archaeologists think that they were made for the pharaohs’ graves. But, you know, it would have to be something awfully big — when you stop and think about it, and I don’t think it’d just disappear over the course of time — to store that much grain. This is yet another of Carson's strange opinions, which contradict science and stand in stark contrast to his respected career in medicine. 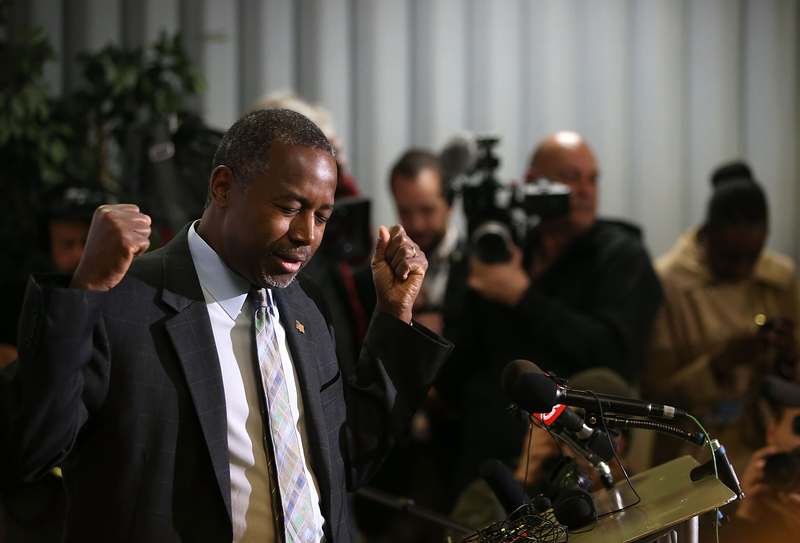 Carson is also a creationist, and has said that Darwin's theory of evolution was encouraged by "the adversary." As in Satan. Archaeologists are not happy with this declaration, especially as it's coming from a presidential candidate who is almost tied in the polls for first place with Donald Trump. They say there is lots of physical evidence that the pyramids were used as tombs — evidence like, ya know, mummified people. Further, others have pointed out that the pyramids are not hollow. They have passages and chambers, and are not giant empty spaces, like what would be necessary for grain storage. Others have accused Carson of racism, saying that he's unwilling to acknowledge the feats of non-Westerners, instead attributing the pyramids to Western religious figures. Carson's claim has become a joke on Twitter, but it's unclear just how many people might agree with him. The Washington Post thinks that his position as an educated doctor might actually help him attract voters who like skeptics and those who fight the status quo. Regardless, Carson's idea that the pyramids were granaries confused many, and hopefully won't be taken too seriously.